Children exhibit early music aptitude by singing during playtime, physically responding to the beat of instrumental or sung music, and playing the family piano. My goal with this age group is to augment exploration and enjoyment of music with age appropriate materials while encouraging music play as a family endeavor. 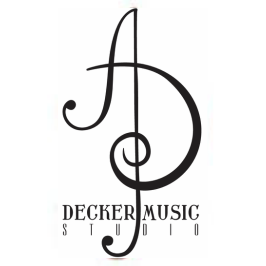 In July 2013 Anne Decker-Beck completed her Music Together Teacher Training Workshop developed by the Center for Music and Young Children, Princeton, New Jersey. In a nurturing environment supported by parents and primary care givers, children develop basic musical competence, usually by the age of 5. At this point, more formal music instruction can commence. Young piano students, even those who are not yet reading, learn with the Faber Piano Adventures Series including the outstanding "My First Piano Adventure" along with supplemental music. Elementary school age students will progress to the Faber Piano Adventures Series, Primer and Levels IA through Level IV. Supplemental materials are introduced according to the student's individual interests. Development of practice competency is a regular feature during this stage the child's music education.